Are you ready for digital age leadership relevancy? For full digital transformation? Are you ready for the tsunami of change coming? Is your business? 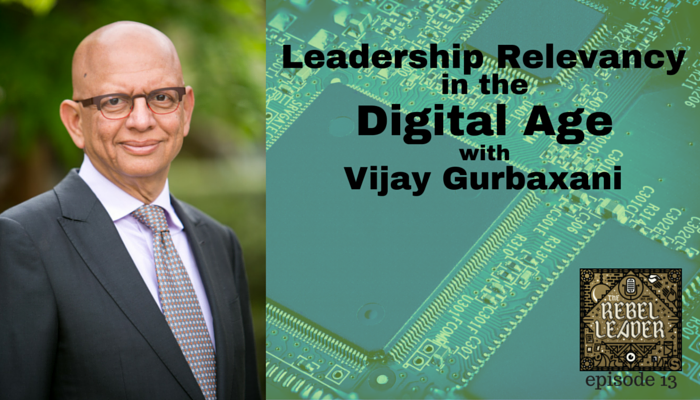 If not, or if you want to get ready, you’ll enjoy this week’s episode of The Rebel Leader withVijay Gurbaxani, founding director of Road to Reinvention: Leadership in the Digital Age — a signature conference hosted by The Center for Digital Transformation (CDT) at the UC Irvine Paul Merage School of Business. Read the full article at switchandshift.com.